Relax in a world of your own! Less noise and comfortable frequencies. Harmonic Comfort Chambers are based on the "Helmoholtz resonator" principle. 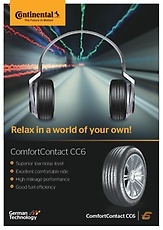 These specially designed noise cancelling chambers are positioned on the inner shoulder of the tyre pattern. Unpleasant noise generated between the road and tyre is effectively cancelled out as air waves migrate in and out of the chambers. This prevents noise emission towards passengers, resulting in a quieter ride. "0" dB-Eaters are uniquely shaped in-groove elements designed to split and diffuse noise waves for lower road noise. To ensure a quieter ride, they break up noise waves travelling in the tread grooves to reduce the sound-level measured in decibels (dB). The CC6 Whisper Compound is a smoother rolling tread compound that adapts better to the roughness of the road surface for superior comfort. 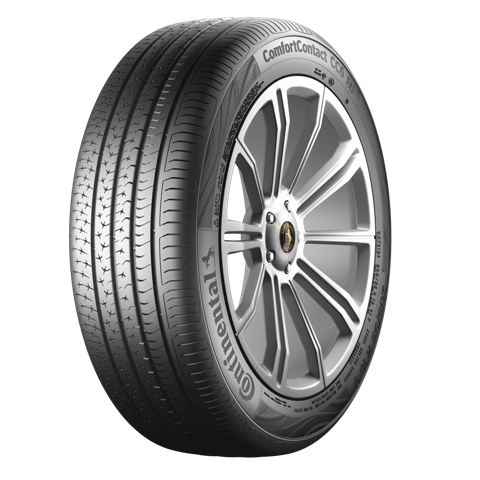 The compound absorbs tyre vibrations to diffuse road noise. 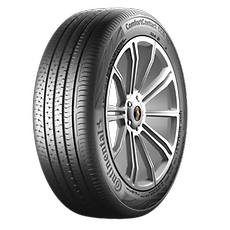 It dampens micro bumps on the road so the tyre rolls smoothly.